PostPak Kraft paper is ideal for posting small and large items. 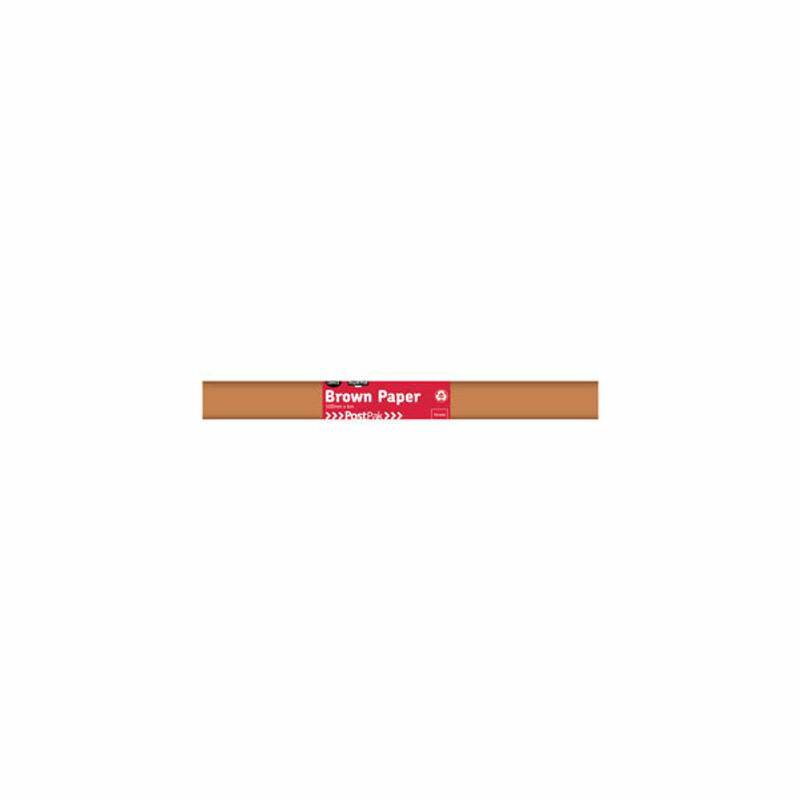 This 80gsm brown paper roll measuring 6m x 500mm is the perfect solution for sending parcels of all shapes and sizes. The durable recycled brown paper roll is strong enough to offer peace of mind that your item will be securely protected whilst in transit. To secure your wrapped post, you will need to use adhesive tape so that it doesn’t come loose. Here at the Post Office Shop we sell lots of postal supplies including a variety of Tapes that will help make your postage process much more convenient at a low price. Thought how you will label your parcel? You will need to either write on the brown paper with a thick dark pen, or, you can choose to take a look at our Labelling range, so you can send your parcel neatly and professionally. This PostPak brown Kraft paper comes as an easy-use, crease-free roll; just roll it out on a table, place your item and cut off the size that you want. It is also easy to store, however once you have removed the outer plastic film you will need to secure the roll with a rubber band after use to prevent it from unravelling.